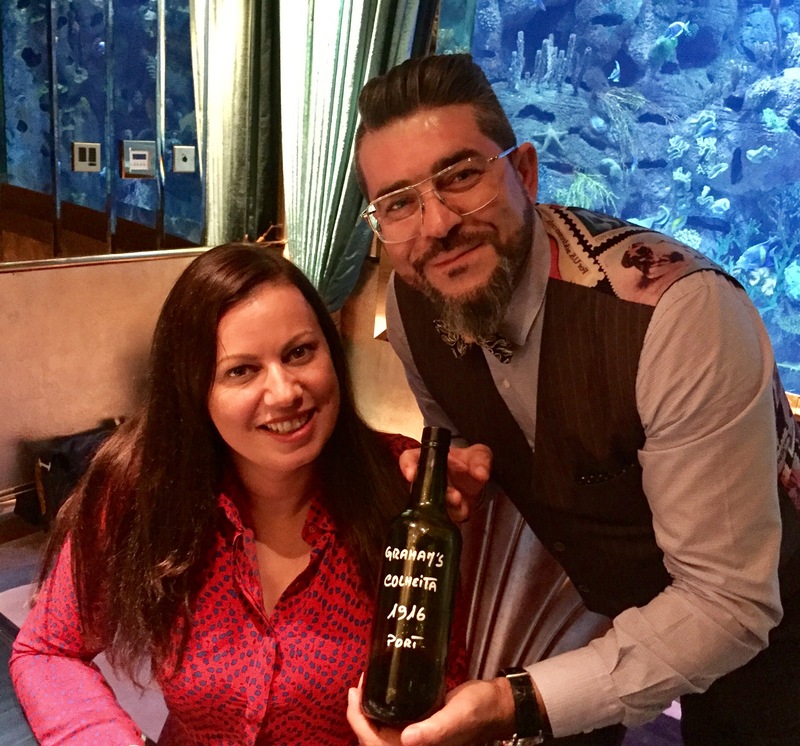 When I launched TastedAndRated I would never have imagined I would have the opportunity to interview Edouard Moueix. 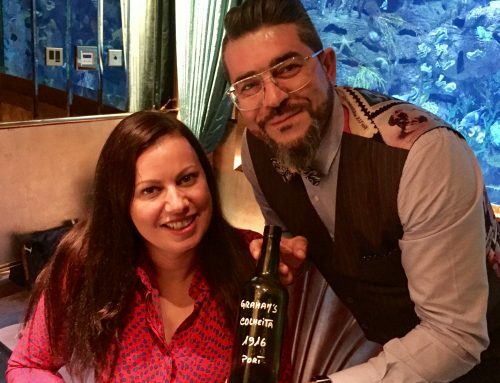 So I was so humbled to spend three beautiful days with him, while talking and drinking his beautiful wines from Pomerol, St. Emilion and Napa Valley. 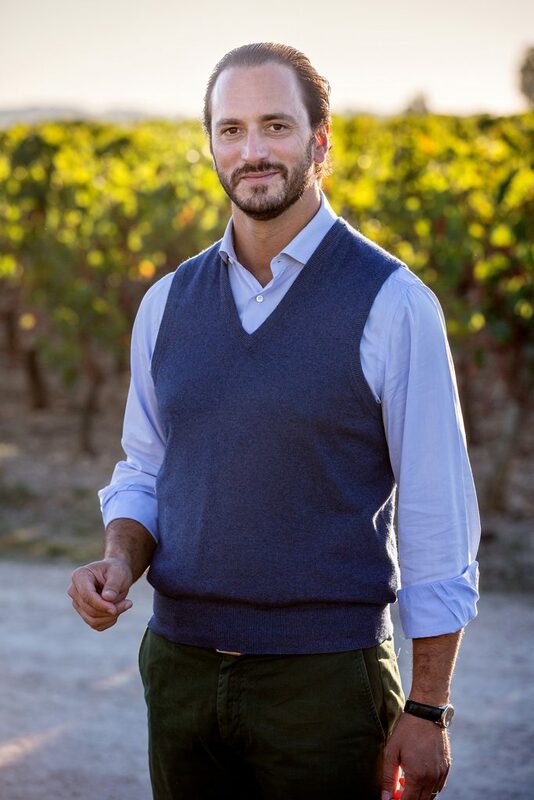 Edouard is the grandson of Jean-Pierre Moueix, a real visionary, who became a Bordeaux wine merchant (négociant) in 1937, specializing in the wholesale distribution of many right bank wines. Unlike his competitors who, at the time, concentrated exclusively on the wine trade, Jean-Pierre Moueix started to focus on the production side through the purchase of well-known Chateaux in the beginning of the 1950’s, such as Magdelaine, La Fleur-Pétrus, Trotanoy, Lagrange and the most famous Chateau Petrus. Jean-Pierre Moueix is credited with placing Pomerol and St. Emilion on the map for great wine production. His son, Christian, also later ventured into Napa Valley, where he acquired Dominus Estate in 1983. Jean-Pierre Moueix retired in 1994 and left his business to his two sons, Jean-Francois and Christian. 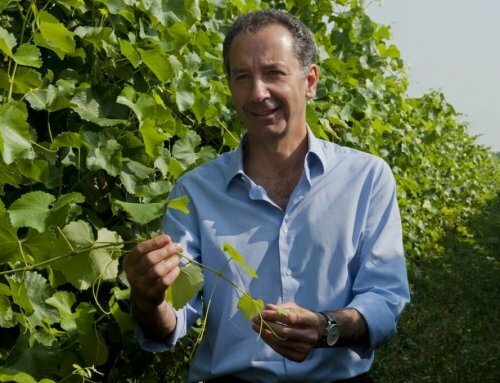 Christian Moueix, with the help of his son Edouard since 2004, is responsible for bringing the majority of their wine portfolio (excluding Petrus) into the new millennium. 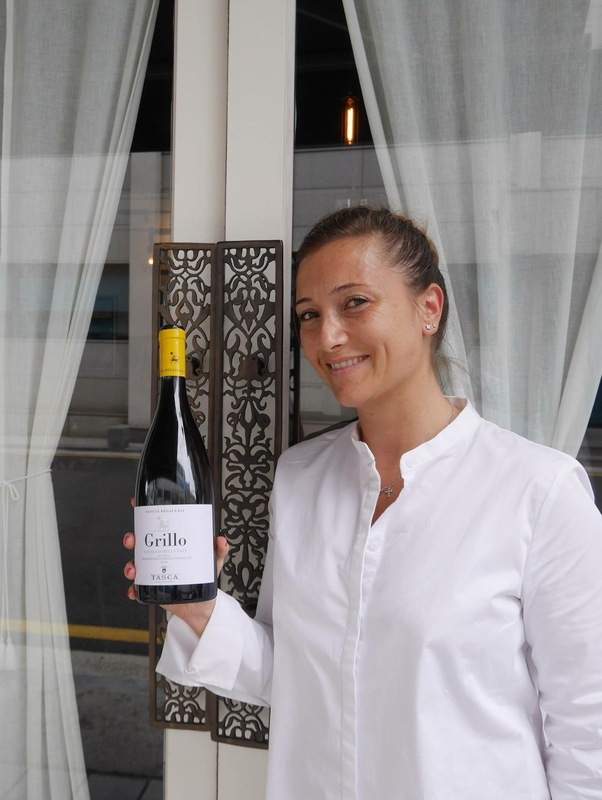 I first met Edouard more than 10 years ago, while having a wine dinner at Tang Restaurant, tasting Dubai’s first molecular gastronomy with a selection of Moueix wines including Chateau La Fleur-Pétrus. After all those years many things have changed, and while Tang may no longer exist, producing the best quality wines remains at the heart of the mission of the Ets. Jean-Pierre Moueix. LUCA: Jean-Pierre Moueix was an innovator for Pomerol and St Emilion area, what do you think was his vision? 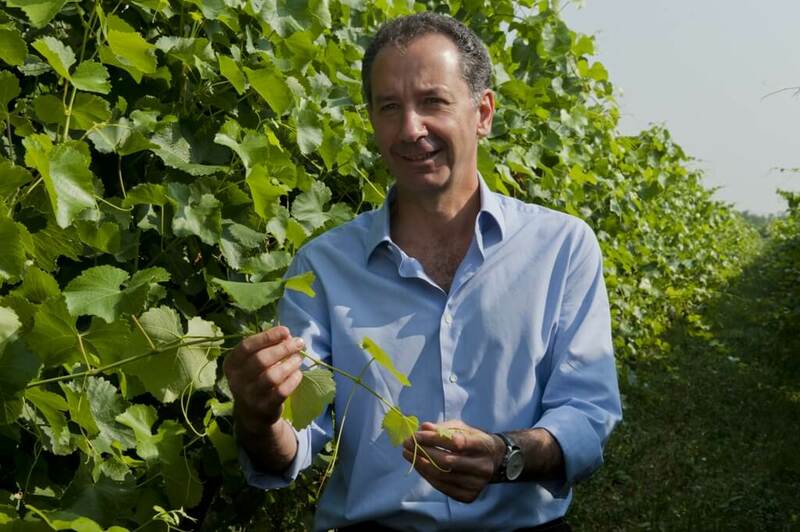 EDOUARD: It was unusual at the time, but Jean-Pierre Moueix’s vision lay in his understanding that while merchants traditionally only bought fruit or wine that was already made from farmers, controlling the quality of the fruit itself, by being involved in the actual vineyard work, would be an important factor in the future. Jean-Pierre Moueix started out purely as a wine-merchant, but he began acquiring vineyards in the 1950’s to follow through on this idea. This approach also gave an element of differentiation to his business.Today, because we sell wines as well as producing them, we are in the unique position of, on one side, understanding the needs of the market and the challenges in selling wines, and, on the other side, being able to produce a wine that suits the taste of the market. This is an important strength for us. LUCA: Do you use the same approach in Napa as you do in Bordeaux? EDOUARD: The only thing that we brought from Bordeaux is the fact that the wine must be made exclusively from grapes grown from the estate’s vineyard. The rest of the approach in Napa is different. My father, Christian Moueix, spent two years in California while he was studying at UC Davis in 1968 and 1969, and he fell in love with the wines from that region. Napa at that time was the Wild West in the sense that it was still to emerge on the world stage. In Napa, back then, you could bring lots of the modern winemaking techniques that were being tested in Bordeaux at the time, without making a similar wine. My father had to start from nothing. He had to adapt to the particular soil and weather conditions of that micro-climate of the Napa Valley, and then build a winery that would be best suited to the wine he was looking to make. 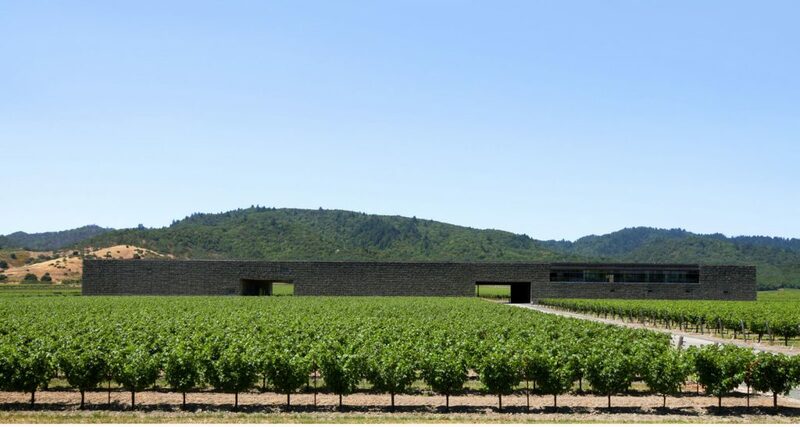 The Swiss architects Herzog & de Meuron, who did an incredible job, designed the winery at Dominus in 1997. They were asked to build an ‘invisible’ structure, to underscore the primacy of fruit quality in the making of great wine. They used an advanced concept of a concrete building with a double wall, which maintains the cold during the summer and keeps the cellar warm during winter, so we don’t need air conditioning. 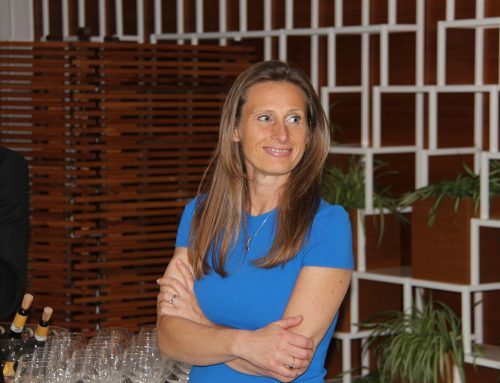 LUCA: How has wine making changed in the last 15 years? EDOUARD:Many things have changed and precision has been the key to those changes. In the vineyards, we select only the very best fruit to go into our wines. Optical sorting machines, which we use for all of our vineyards, are very efficient and helpful for this. Consumer tastes have also evolved. Today we tend to drink wines in their youth, so we as producers are making wines that can be enjoyed young, but also have the potential to age for many decades. In order to obtain that you need to have fully ripened fruit and the right maturity of the polyphenols, so we have adapted our harvesting schedule accordingly. The weather has also changed a great deal. We have warmer years and longer summers. Before, rain would come in October whereas now the rains usually start in November. This offers us a longer ripening period, which has allowed grapes to reach optimal maturity more frequently than in the past. Many things are also changing in the cellar. We favor vinification with minimal contact between oxygen and the grapes, in order to maintain the grape’s natural freshness and fruitiness. This approach leads to wines that are enjoyable young, but that also have the strength to age. The way we imagine the influence of oak has also evolved a great deal. Today, notably through the much more restrained use of new oak barrels, we are able to prevent the wine from being ‘tattooed’ with oak flavor. Allowing the fruit its highest expression through a minimalist approach to aging in oak barrels has always been at the center of our winemaking philosophy, but it is encouraging to see that more and more Bordeaux producers are also moving in this direction. Of course, there is no standard recipe, so it depends on the vintage. If the vintage is strong, we can afford to let the wine spend more time in barrel without affecting the fruit profile. For lighter vintages, we tend to reduce the length of ‘élevage’ in order to preserve the fruit’s freshness. LUCA: What would you like to see next in the wine world? EDOUARD: I would like to see more drinking of fine wines. For many years, it seemed that wines were crafted more to fetch high scores than actually to be drunk and enjoyed by consumers. In that context, producers tend to make “big” wines that will be more impressive, but perhaps less palatable on the long term. The consumer should always be at the center of the producer’s focus. LUCA: How would you explain the different between Pomerol and St. Emilion? EDOUARD: The appellation of Pomerol is composed of 3 main areas and soil types. 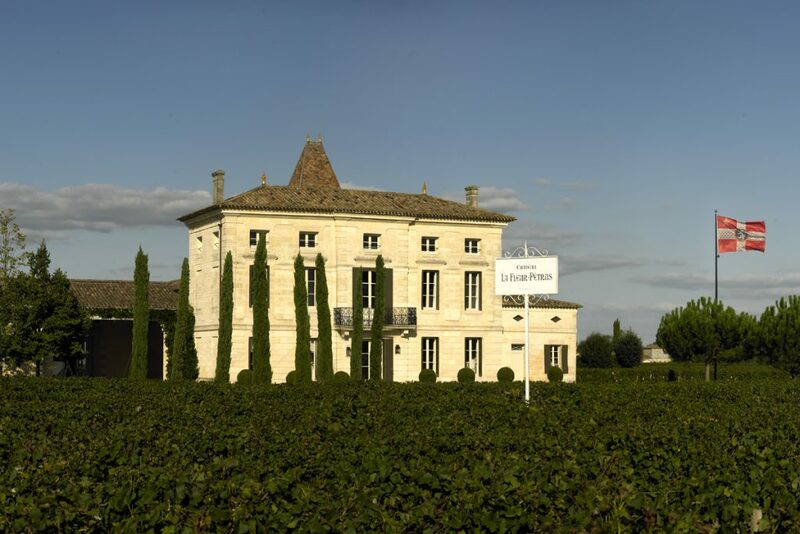 Firstly the plateau, the highest part of Pomerol, which culminates with Château Petrus at 40 meters of altitude. The plateau is made of clay in the center, which is a degraded limestone and produces wines which are rich and opulent in character. They are friendly, generous, voluptuous wines that are also incredibly balanced and elegant, with a great capacity to age. Secondly, you have the gravel belt around the clay. These areas produce elegant, fresher wines that tend to be very striking aromatically. Lastly the plains are composed mainly of sandy soil. The vineyards in these areas tend to produce pleasant, lighter-bodied wines usually meant to be drunk in their youth. 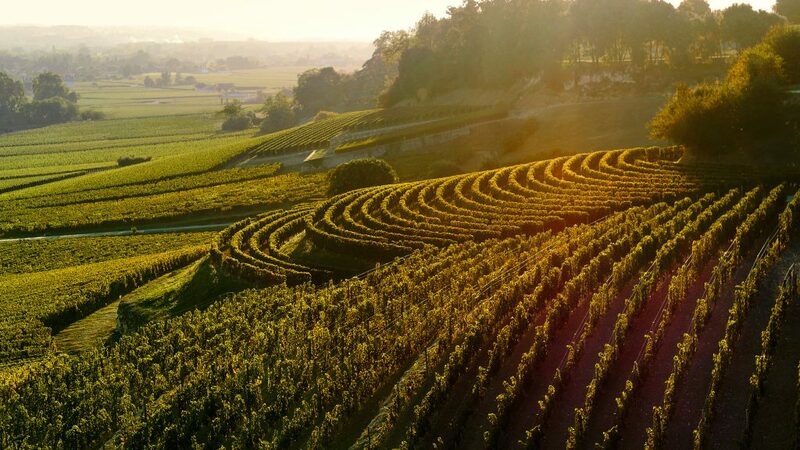 St. Emilion is much more difficult to describe as the area is nearly four times larger and is composed of many different combinations of soil types, and thus produces many different styles of wines. However, we can divide the area into 3 main types of soil as well. From the limestone soil of the plateau (which culminates with Château Bélair-Monange at 88 meters of altitude) we produce wines with great complexity, structure, and minerality. Wines made from clay slopes leading down from the plateau areas tend to be bigger and more powerful, similar to the plateau wines in Pomerol. Lastly, wines made from the sandier soils found in the plains are very pleasant, easy-drinking wines meant to be consumed young. Of course, there are many wines produced with different combinations of these soil types, resulting in a very large diversity of styles available to the consumer. LUCA: What vintages are you drinking right now? EDOUARD: Personally, I tend to drink younger wines at the moment. I am particularly fond of the recent vintages of Espérance de Trotanoy, the second wine of Trotanoy. The 2011 is delicious right now; 2009 is an outstanding vintage, it has a pure generosity, “what you see is what you get”; the 2010 is still restrained but is slowly opening. I love tasting the 2015 as it’s a magnificent vintage, I would describe it as a 2005 plus. The 2016 is just finishing the malolactic but seems to be a great wine coming from a very difficult vintage – the first half of the growing season was very wet and the second part was very dry. In this scenario, the old vines managed well, but, the younger vines with shallower root systems had more trouble resisting the hydric stress. LUCA: Is there a specific market for wines from the Right Bank and the ones from the Left Bank? EDOUARD: To take one example, historically, England had very close ties to Left Bank châteaux, while Belgium, for example, had a closer relationship with the Right Bank. 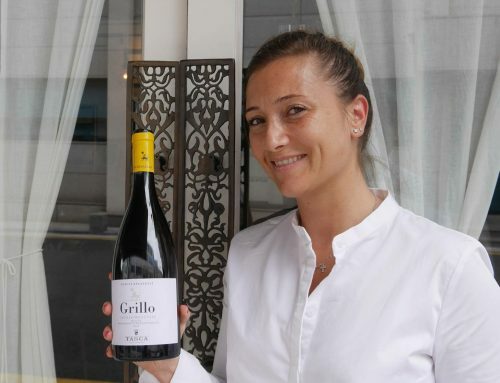 Modern market forces, however, and the now wide availability of fine wines around the globe, have mostly done away with those alliances, although some deep-rooted loyalties still remain. LUCA: What else do you drink apart from your wines? 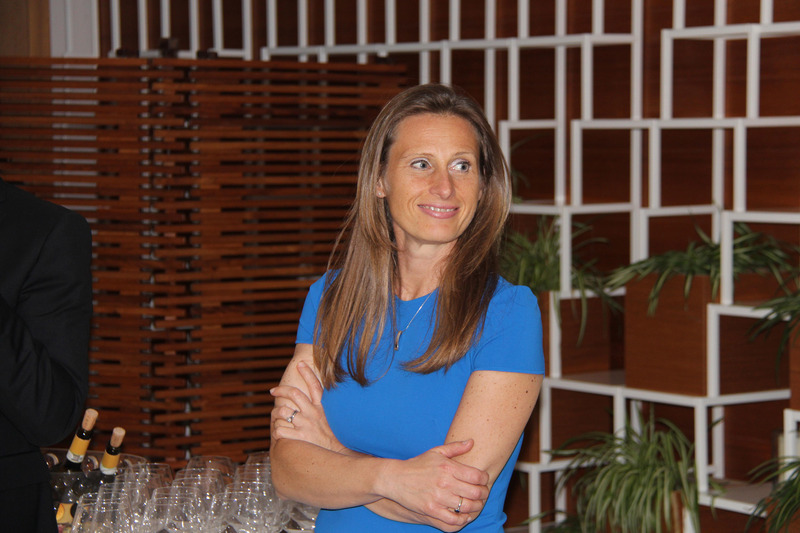 EDOUARD: I tend to drink plenty of our wines, as I believe that as a producer it’s important to know how your wines evolve. 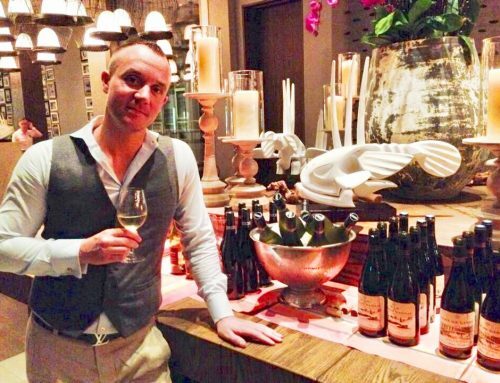 But I’m a curious drinker, and as I travel a lot, I make the most of any opportunity I get to taste great wines from all over the world.